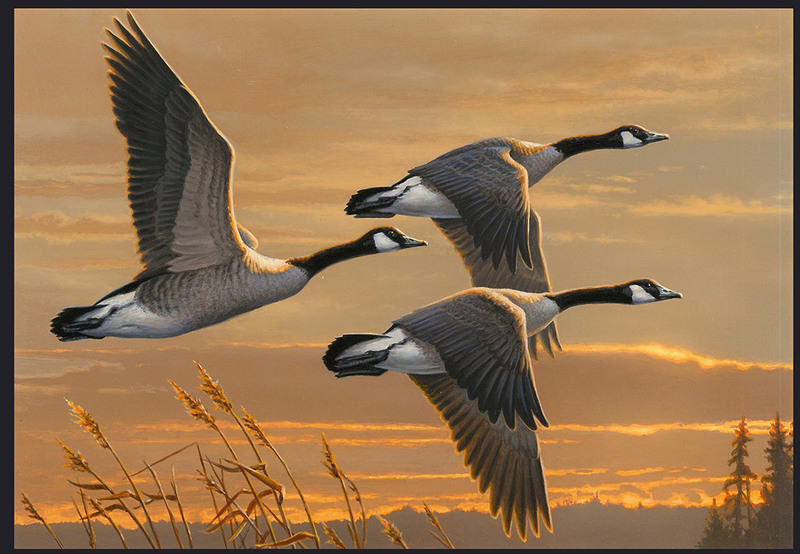 James Hautman of Chaska, Minn., won the 2016 Federal Duck Stamp Contest on Sept. 10 with his painting of Canada geese in flight. His art will grace the 2017-2018 Federal Duck Stamp, which will raise millions of dollars for conservation after it goes on sale in June 2017. This was his fifth Duck Stamp Contest win, making him one of the winningest Duck Stamp artists. Buy a duck stamp to support waterfowl conservation, view an online gallery of 2016 submissions, or learn more about the duck stamp program. Learn more about BirdNote partner, Ducks Unlimited.